It was a great pleasure for me to work with Bill. We experienced great training flights in not so ideal conditions and he really put his heart in the job. I will tell all of our customers and pilot friends about the experience. 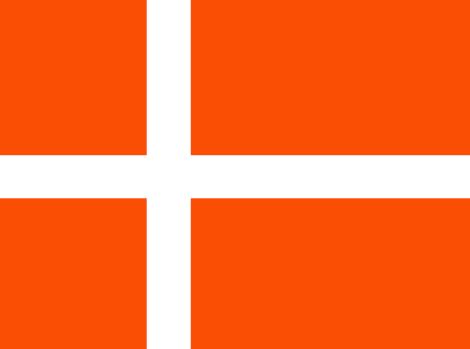 I finally made it back to Denmark after a very eventful and successful stay in the US. It was quite a task, but I enjoyed every minute of it under the great and enthusiastic instruction of Ron my instructor. My flight training with AFIT has now been completed with a successful check ride yesterday at Galveston. Ron did a marvelous job as my instructor. His services are highly recommended. 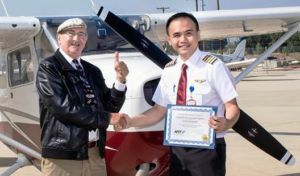 He is a very dedicated and patient instructor, and his positive enthusiasm and energy kept the moral up, during, at times, an intensive program, passing TSA approval and Medical at Dallas, Written in SAT, and Oral as well as Flight test in Galveston. He organized everything in a very forward looking way. An instructor who can keep the optimism up at all times, he is highly recommended. I was very satisfied with Ron’s energy and dedication 24 hours a day. Getting up very early in the morning checking weather, filing flight plans and printing out approach plates off the internet on the hotel computer. It was a real pleasure to meet and work with Ron. He is very thorough and a likeable person, a passionate pilot, with a great sense of humor. And he had perfect control of the process and the administrative procedures, obtaining the necessary approvals, and cutting through the red tape as necessary. I did not feel we lost one single minute. Again, thanks for your excellent AFIT program, and the excellent instructor you made available for my training. I just wanted to say thank you to you and Cholena for getting me to my dream of being a Private Pilot! As you know, I enrolled in the A.F.I.T. 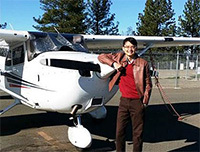 Private Pilot Course in Sacramento/Placerville California in August. As I had some hours behind me In Australia, I was able to complete the course in 10 days with an extra day of Complex plane work. WOW! It only happened because of the seamless, energetic instruction by Cholena. She is just amazing and I will expand on her knowledge and teaching gifts a little later on. As an Australian, I had to go through a whole process through the TSA to even be allowed to train. Tony, your guidance made this all easy. Your step by step instruction in the process made it easy to navigate something that on face value seemed impossible! Tony, after discussions about my experience, you worked out a schedule with Cholena that just worked. I guess you know what is needed as you guys are the most experienced outfit around. Cholena was just amazing. She was always there pushing, teaching, and making me understand so much about the art of flying. She did this with a smile, always energetic and always so helpful. No question was too difficult. She is a gifted aviator and teacher and I must say that I learnt more in that 10 days than I did in the start stop flying I did over a year in Australia. She fixed my bad habits and taught me to believe in my instincts and knowledge. To this end, I know I am a better, safer and more knowledgeable pilot now. I also know that this is a step to lifelong learning! All this in 10 days from the best instructor I have ever been in touch with. The checkride went without a hitch and I am now a Private Pilot! Yep, it was heavy – a total immersion in flying but success only comes after hard work! Thanks to A.F.I.T I am now living my dream! The sky has no limits. Just a quick note to say thanks to you and Bill for your amazing help in making it possible for me to get my IFR rating! Your total customer focus and flexibility to accommodate my need to fly back to Europe in the middle of training was the only way this was possible. Bill’s deep experience, patience and consistently positive and constructive attitude were EXACTLY what I needed. If I had only known about AFIT before I wasted 3 weeks and thousands of dollars on a “regular” IFR program! An Amazing difference in approach between an experienced career instructor and the 23 year old “time builder” instructors with fewer hours than me. Bill is a great guy. This is a much better way to learn than traditional flight school! 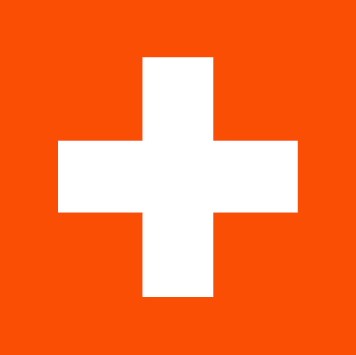 It will drastically change the quality of the next 6-12 months for me to have my IFR ticket and finally be able to fly my plane in the crummy Switzerland Fall and Winter weather! See you when its time for my commercial rating! A short note from me to express my sincere satisfaction with the training I received with AFIT at your Boulder facility. The syllabus was “very good”, John in particular is a “great instructor” to learn from, he is a wealth of knowledge and takes a lot of beating. He is very easy to deal with and pushes himself hard to make sure one is on track. I would for sure recommend the training with AFIT to any of my colleagues wishing to do this course and will for sure recommend that they have a go with John. Well done for a very well organized course. Thank you very much. It was a very intensive 12 days and Bill had to run a very tight program to get in the 2 written tests and the medical examination. I had learned the course material to a reasonable standard before coming over, but Bill impressed the need on me for an excellent score in the written exams as being a pre-requisite for a short and precise oral exam, so we gave that extra attention in the first week. We flew a lot every day (3-5 hrs) and I studied in the evenings and from 05.30 every morning. And then there is Bill’s little pack of pink cards that give you a right real quiz every time you sit down to lunch. The result was 92% for the PPL written and 93% for the IR. In my case I needed intensive practice with the G1000 system, particularly with the “buttonology,” and Bill kept drumming that into me. I paid a lot of attention to the G1000 manual and the aircraft POH in the second week. Bill showed a great deal of flexibility in adapting the training depending on the weather and available test booking scenarios; we settled early in the second week for Friday for both tests. Luckily the weather played along. After the “buttonology” comes the “fire drill” which sorts you out for flying two approaches rapidly after one another for a single facility. 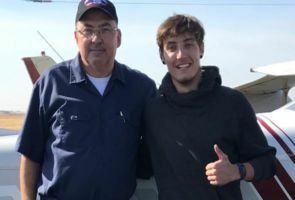 Bill knew what his Designated Examiner was looking for and gave me useful tips and encouraging words, food and perfectly timed AVGAS right through the test day which ended at 21.00 in Georgetown after we got back from testing in Brownwood. I think it very well worth mentioning that Bill has all the “soft factors” buttoned down as well. The aircraft was in a perfect condition, we always had a clean windscreen, the right docs on board, all the training aids you can think of. He showed me a lot of useful programs on the Net, which make flight planning and weather updates quick and useful to find and interpret. His little pack of DVDs contain useful tutorials for everything from US radio technique to IF clearances and real-time emergency scenarios. He took me to every conceivable restaurant specializing in different variations of Texas cuisine and no sooner had you tasted the first mouthful out came the next briefing, the inevitable pink cards or the practical test standards /oral guides. Not even ordering his recommended specialty (“you can’t leave Texas without having had chicken fried steak”), got me exempted from the pink cards. Some days I was pretty wound up; he sensed that and found the balance to push you on, but keep you sane at the same time. I worked very hard and Bill was quite honestly the “Perfect Coach”. I’d recommend him to anyone and threatened to send my wife over (only problem is she’d come back 20 lbs overweight). 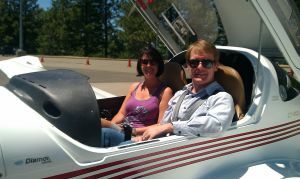 A big thanks to AFIT and Bill from an “elated” INSTRUMENT RATED Pilot. I wanted to thank you for AFIT’s excellent service and the superb training I received with John. I was able to successfully complete my IR tests (written, oral + check ride) and obtain my Instrument Rating within exactly 10 days, as planned. I cannot thank John enough for his pro-activeness and excellent eye for detail throughout my training. I found John to be a fabulous instructor, thorough in his preparations, very effective in ground training, and extremely good at flight training. 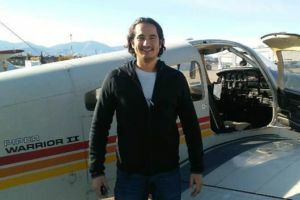 His vast experience as an airman, instructor and also as a businessman makes him uniquely able to teach people quickly and to bring them up to the required IFR standards. Plus, John is a great guy and a very personable instructor. 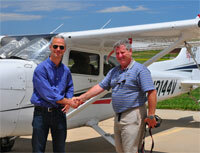 I highly valued training on a recent Garmin 1000-equipped airplane. John’s intimate knowledge of the Garmin 1000 glass cockpit system enabled me to learn quickly not only how to use the system for safe and effective IFR flight, but also to start tapping into its huge potential for flight planning and enhanced situational awareness. I am truly delighted to have learned so much and I feel strongly that I am a better, safer, more able pilot now than I was before starting my training. Last but not least, I appreciated the help in getting the paperwork ready in time for completion and within tight deadlines, not always an easy task for foreign pilots. It has been a rich, sometimes intense, but overall very satisfying experience. I highly recommend AFIT, and John in particular, to anyone interested in improving their flying skills, whatever they may be. Please feel free to forward my recommendation as you see fit. 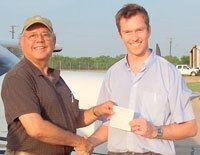 I wanted to say thank you for an “Excellent” Private Pilot Training course with Eric, a “Fantastic” instructor. The training was an intensive 14 days and I enjoyed every minute of it. In just two weeks you really can became a safe pilot. It’s awesome. St. George Utah is a great training location and environment, with a variety of airports around mountains, desert, canyons.. A nice and well organized quiet town. And the most important, a Great Senior instructor working with you the whole day, every day. I would like to thank you and Cholena for making my PPL a reality. There are many things that can get in the way of actually finishing your PPL, and in my view the ‘accelerated course’ is the only way that makes good sense. But I also think that an accelerated course only works if you are with a team that has the experience and understanding to do it professionally. Put simple, you guys are the real thing. Since my first email contact with you, right through to my Check Ride, you and Cholena had all the answers, and were able to guide me along what is usually a very daunting path. I read the glowing testimonials for Cholena before commencing the course, and now at the other end of the process, I can say that they still do not do her justice. She is nothing short of brilliant. Her calm and persistent manner has left me with a level of confidence that I simply never had from my previous flight training experience. Previously I always felt that I was ‘missing something’. Whereas, after spending 2 weeks with Cholena – I feel that I have received a very thorough and considered training. The highlight for me was landing at Sacramento International Airport at 10.30pm in our Diamond DA20, on final next to a 747 on a parallel runway. Try doing that with your average instructor..! As Cholena said, getting your PPL is really a license to continue to learn how to fly. I agree with this, but I also believe that the grounding I received means that I will be continuing my learning on a very sound and safe footing. I also appreciate your own persistence, encouragement and professionalism. I don’t think I ever waited more than a couple of hours to receive a return email from you with answers to my questions. Thanks again. I would not hesitate to recommend your organization to anyone serious about getting their license. 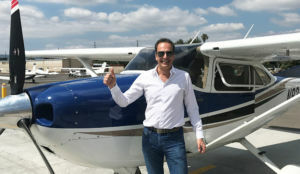 As you know, I flew my private-pilot training with Lou and I can definitely say that he is a great instructor and really gets involved in every aspect of training, from theory and exam preparation to practical tips and tricks to make the flying experience both more enjoyable and more useful for the student. I also want to stress one thing – he ALWAYS goes the extra mile and takes the next step, even in things not directly involved with the airplane or the training. Training with Lou gave me what I needed not only to pass the tests but to be a good pilot, with the assurance that he was always by my side to help me achieve my dream safely and with excellence. I recommend Lou as an instructor for anyone who wants to really have a thorough preparation for the next step in flying, whether initial private, as was my case, or advanced training. 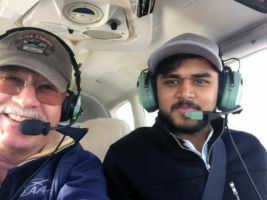 His encyclopedic knowledge of aviation and his easy manner of teaching make flying with him an experience to be enjoyed while it lasts and missed when it finishes. The 10 days in Boulder were Wonderful. You where right by saying John is a wonderful teacher!Boulder is a great location, the facilities are great , the planes are superb and the ambiance was very friendly. I had a great time there. Despite my French accent, John was kind enough to help me to go through radio communication. 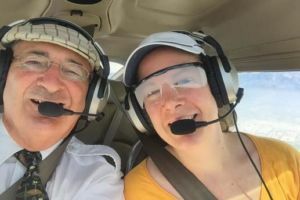 Of course the background of John explains his ability to teach how to fly IFR, but his patience, kindness and humility made the difference between a normal and a fantastic instructor. I miss Boulder and John, (his wife who is a pilot too) but I’m sure I will meet them soon in Europe or in US, as good friends. Thank you for sending me to Boulder ! An amazing experience! I am very pleased to celebrate this major milestone with you, under the precise coaching of champion Cholena! “She is an excellent instructor”, delivering just the right pace and intensity of theory and practical concepts daily (with homework), right up to minutes prior to my first solo flight ! I cleared all the tests to received my PPL, after intense teaching and corrections from Cholena. For me, this will be the start of continuous learning and skills improvement for private piloting. You have an excellent and concise 14-day PPL training package, which I was somewhat skeptical initially, but I am now living proof of your success formula with my own PPL ! In addition, the excellent weather in California and availability of multiple airport types within a short range, is great for intensive dual and solo training. It’s my honor to have trained with AFIT and Cholena, both with sincerity and aligned interest, working towards my successful PPL within 14 training days. With first-hand experience, I will recommend prospective PPL students to you anytime. I am pleased to share my experience and feedback on this course. I suspect many people, when they first see the claim of an instrument rating in ten days, are a bit sceptical. But it really can be done! Mind you, the key is in the quality of the teaching and Cholena certainly is a star. What makes her really special are two qualities: adaptability and persistence. Cholena will adapt her teaching of ideas and techniques until she finds the approach that suits you. And then she’ll work with you until you master it. A combination of dedication and skill like that is very rare. I very much enjoyed working with you and Cholena. I certainly know where to go when I’m ready to take the next step. All the best for the future. Mike trained me during 10 consecutive and intense long days. This included flying on Dec 31st and New Year’s day. We were based in KSUS, Spirit of St Louis, MO. We flew a nice and well equipped PA28-180 Archer II: N9513C. We achieved the required 40 hours of SIMC with an average of two flights a day, including a few session of simulator when snow covered the ground a couple mornings. At 48 and 500 flight hours in various French aero clubs, I engaged this IFR training as a way to progress further and travel more often and more safely despite cloudy weather. I found the AFIT accelerated training a nice fit to my busy schedule. The stay in the US was a very intense experience, both from a “professional” and personal relationship standpoint. Flying has been and will remain leisure for me, but this course had the same unique objective as for anyone else: getting IFR certified. Fully committed to make me succeed, Mike has this right balance of being a very nice person with a constant level of original English humour, but also knows to be tough enough when things are not done the way they should. Yet he had the patience to let me make mistakes to learn from, repeat and make me repeat again and again the essentials, until they become “a new religion”, like the famous 5 T’s. Mike maintained consistent pressure towards the objective and would not let me get distracted or over relaxed. He monitored daily we were on track, by achieving serious flying lessons every single day. And Mike also knows to measure and encourage progress along the way. This course was great Fun and a great experience and I thank Mike for his contribution. I really enjoyed my training with John and AFIT and can only add praise to what is a very slick operation. “John is a fantastic instructor”. I certainly have no regrets in making the trip over here to get my training done. I can confirm that in the next year my sister and law and nephew will be joining you for training. 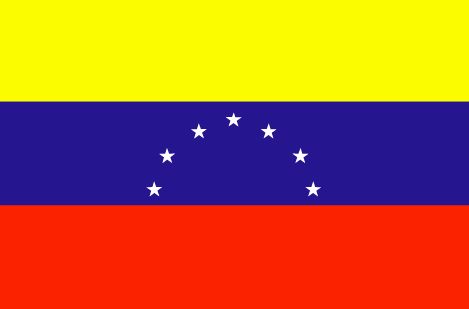 I’m back in Venezuela, and I just want to thank you and John for all your attention and help provided to me during those days of hard intensive training. I had the opportunity to fly in a complete new enviroment, in a place that I`ve never visited before (Colorado). During those days I visited more than 7 different airports, even different states. 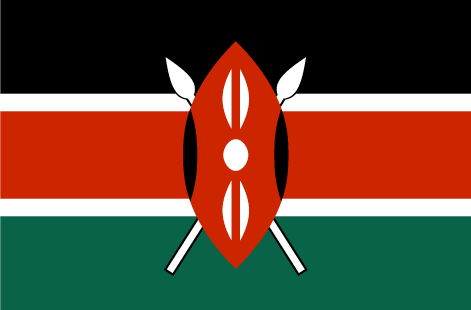 John is a really good instructor with knowledge in every single area of the aviation world, from gliders to Boeing 777`s, from the Surface as a certified mechanic to as high as taking samples of air at 26.000 ft for government institutions. I’m really thankful for all the knowledge that I acquired and for your services and excellent attention everyday, and of course with AFIT to be there 24/7 and answer my emails in SECONDS! With any doubt I will come back for my instruments training soon. 101% recommended for everyone, even International students like me. If you ever need help or have any spanish speaking student who want references of the school or specifically with John, you can give them my email and with pleasure I`ll share my experience. I’m writing to convey how happy and appreciative I am to have finally obtained my long desired and coveted private pilot’s license! Having trained previously (unsuccessfully I might add) with another school based out of Caldwell Airport in New Jersey, I know first hand the difference a proper program and instructor makes. And an experienced, skilled and dedicated instructor like Cholena was exactly what I needed. She spotted and worked with me on ironing out bad habits I had as a student pilot, and made sure that my progress was always on track. In the end I was not only able to pass the checkride; more importantly I felt I was able to pass it confidently as a safe and competent private pilot. Thank you both Cholena and AFIT, and I’m looking forward to returning and getting my instrument certification! 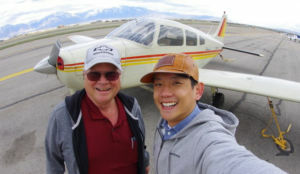 I really had a wonderful experience flying with Bill E. and I was delighted to have the opportunity to benefit from his many years of experience as well as his wisdom and views. He was able to instil a disciplined and cautious approach to flying with an emphasis on safety which was excellent. It certainly makes a tremendous difference when an instructor is able to command the complete confidence of his pupil- this he clearly did , so much so, that when the opportunity presents itself again, I will return to the USA for additional training, provided I have him as a flight instructor. Just want to touch base with you again and thank you and Bill for helping me attain the IFR & CPL tickets. Bill was really the best instructor I’ve had in my flying career, and he professionally set everything up for me, so all I had to care about was fly, fly, fly…His famous pink cards also came in handy as there wasn’t a single question the examiner asked me that I hadn’t discussed with Bill before. As for AFIT and your support, that too was professionalism from start to finish. I will certainly spread the word across the pond in Europe with everybody who’s working up to his instrument rating and wants to get it in the US. Flying with John was great fun, and I really’ enjoyed his company. The aircraft was fantastic, and the weather held-out perfectly as well. Thanks for everything. 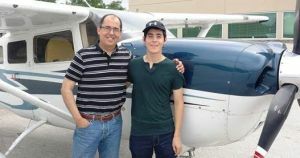 I recently chose AFIT for finish-up IFR training for my 20 year old son with about 200 total flying hours in our Cessna T206H Turbo Stationair with G1000. The training was very intense from 9 to 5 mixing flying and ground school. I think this is the best way to get the IFR rating. Traditional programs drag the process and in my opinion it is not the best way to go. Bill the instructor is a great guy and is very patient. He has tons of experience in all kinds of aircraft. The night before the check ride he invited us for dinner at his home. He shared lots of stories which made the intense training very enjoyable. I wish to thank Bill for his dedication and hospitality. We couldn’t have done it without him. Art Jr. passed his check ride with ease and the examiner said he did “exceptionally well”. I will always remember the 5 P’s. Proper Preparation Prevents Poor Performance. Delighted to have successfully completed my FAA Instrument Rating earlier this week. It was a pleasure working with John. John is a lovely gentleman to spend time with and a good tutor of flying skills. I knew I set myself a fairly demanding objective to pass the IR in a relatively short period of time and I guess the result of the time I spent with John is self-explanatory! 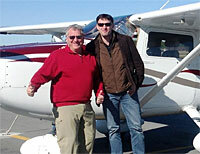 Eric took me from start point with my Private Pilot’s License, Instrument Rating and thru Commercial Pilot. He is an extremely knowledgeable person that taught me about many subjects and shared with me his vast aviation experience. A Commercial glider pilot and reputable A&P mechanic as well. During the training, Eric was fully committed with my education from early morning thru late into the evenings many days. He took his time to introduce me to the local flying community and engaged me in conversations with mechanics, veteran pilots and “warbird” enthusiasts. I also had the chance to fly in various types of weather and airport facilities with all kind of crosswinds. Eric is very patient and I could feel he was one hundred percent focused in my training throughout all the courses. 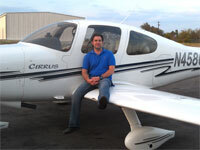 I am extremely happy with AFIT and recommend Eric as a great flight instructor. 24 Days > Private Pilot and Instrument Pilot! Several years ago I found that USA flight training is very fast and efficient in order to create a new pilot from the scratch. However, it was more likely a myth than reality, until today, I personally proved AFIT could make it happen and I am the first Indonesian Pilot who accomplished an FAA Private Pilot and Instrument Rating in just 24 Days straight. It is not an easy task. It required hard work and pure motivation to reach my goals and especially professional support from AFIT as the flight training provider. I came for 14 Days private pilot program and 10 Days Instrument rating course in straight line, back to back. Tony provided all accurate information about the proper way to pass all check rides. He gave me the best flight instructor ever, Capt. John my CFII who has more than 15,000 flight time as a pilot and instructor. AFIT required a high standard of preparation including a minimum of 80% for both written exams. I had 93% on my Private Pilot and 83% on Instrument Rating Written Exam. AFIT prepared me to perform in this program, and provided a dedicated well maintained airplane to be used on a 1 on 1 basis 8 hours a day. It was an amazing experience and I passed both program in just 24 days! How AFIT made this all possible. Tony, the AFIT CEO, was fully committed to my program by monitoring my progress day by day with my CFII. I flew more than 5 hours a day and have a minimum 2 hours ground instruction from Monday to Sunday. 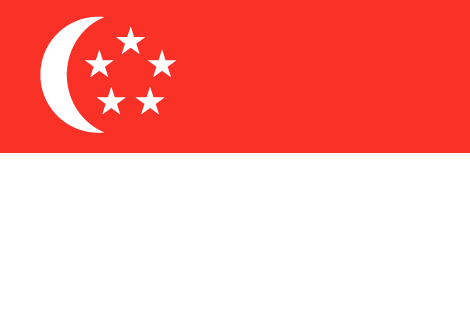 Start from 9 am to 6 pm. John is the most consistent instructor I have ever met. He recognized all my weakness’s and give excellent and detailed corrections for every stage of training. Private Pilot Stage. From the first day of Private Pilot program my instructor said, I will teach you to be the finest Instrument Pilot. John is very demanding instructor with 100% accuracy. The second day of PPL Program John give me an instrument pilot flying skill standard and asked me to fly beyond the private pilot standard. I was stressed, but it worked like a magic. I learned both private pilot maneuver and instrument flying skill at the same time! Only a senior instructor could do this, both Tony and John are a genius man. Based on this skilled training, I had a perfect score in Private Pilot check ride and passed with merit. My DPE was very pleased with the quality of my flying and said John has created you to be a safe VFR pilot. Instrument Rating Stage. This is the hardest training stage in professional pilot school program; I spent 10 hours a day to study for written and oral exam. I scored 83% on my written exam and started the 10 days Instrument rating program just 5 days after my private pilot check ride. John pushed me 2 times harder than private pilot stage. He said: “Instrument flying is a perfect business, once you make an error, you will lose your life”. Also, he gave the best tips ever, “Fly in your mind before you fly the aircraft”. We spent 10 hours’ training every day and this time John uses an ATP standard to train me. It was the most difficult day of my life to fly in busy airport like Van Nuys with analog C172N and real IMC weather condition. AFIT knows what’s best for their students and they gave me never ending mental support. Tony supported me by texts and phone calls until the check ride day. The final result was a record. I passed my oral exam in just 90 minutes! And had another perfect score in check ride. My DPE said, you did very well in your 10 days of training! What I have with AFIT is an incredible flight training story and so proud to be the AFIT member. It is not just flight training but hard work from me, John, and Tony. We trust each other and I showed my responsibility by studying hard several hours a day. I’m really happy to have passed the oral exam in just 90 minutes (The minimum time of FAA standard) and received a compliment from my DPE. AFIT is my new family, and John is my father in aviation! Trust your education to AFIT, you will not regret it! I received what I paid for. Not just a pass, but a great life experience! I want to say a million thank you to AFIT especially you as the CEO. Finest Hospitality In the World. 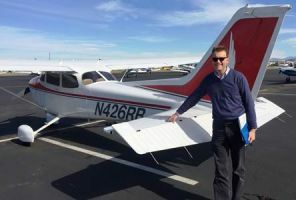 I have been looking for more than 50 flying schools since 2004 around the USA and many of accelerated program offers similar course with very cheap price. But, finally I trusted my future to AFIT since Tony served me with heart not only business. He replied my email and phone at the same day while the others replied after 3-4 days. 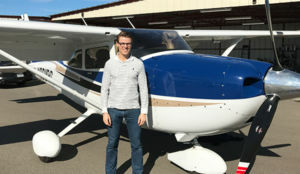 He explained all aspects, tricks, and gimmicks of other flying school who offer a less expensive course compared to AFIT. The best part is, Tony explained everything about student VISA and guide me step by step for the TSA process. This is a priceless services for foreigner who will risk everything to fly more than 9,000 miles for a flying school. AFIT is definitely RELIABLE and TRUSTWORTHY! Priceless 3P. 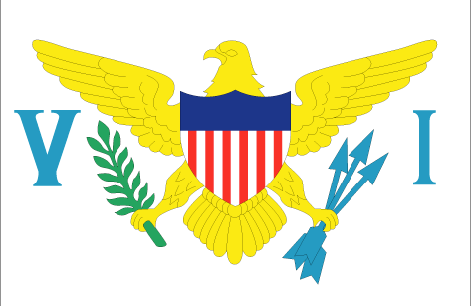 With AFIT I had 3 P – Privilege Training, Private Airplane, Personal Instructor! 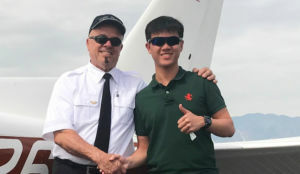 I can fly with my flying club uniform, guided by super senior Certified Flight Instrument Instructor, trained in super Cessna 172N with amazing maintenance. I really enjoyed the fully dedicated one on one learning more than 8 hours a day and I can ask the instructor to polish my weakness to be the best pilot ever! I have my FREEDOM in flight training. Great Cost Transparency. AFIT flight training costs slightly above the other flying school in USA but, it is transparent and no other dark fees. AFIT gave me the extra miles and it is worth it to pay a little more than other schools with great output like this. It is just like photography, A great quality product demands a higher price, and AFIT has delivered their promise! I will definitely stay with AFIT until my CFII rating. I fly for fun, and I will love to work together with AFIT as partner in my country! Tony is amazing at organizing everything. Emails are answered almost before you even sent them… He will guide you through all the different processes and forms needed for the instrument training especially the things needed for the alien flight student program, along with recommendations for study material and videos to watch about charts and the G1000. I chose the Cessna T182T with G1000 for my training, it was in perfect shape and available all day for the whole training. Van Nuys airport is a fascinating airport and the perfect home base for ifr training. John the instructor is not only highly experienced as an instructor and pilot, but also knows all the great places to fly to…. He creates an environment for you to learn and recognizes your areas for improvement very quickly. I really enjoyed every day of training and was surprised how quickly my IFR skills improved by flying to all these great locations, perfect combination of fun and learning. Thank you John and Tony for a great experience! It’s been a “Great Week” training with John and I am very grateful for the experience – both flying and learning from John but also learning about his life. John took me from a very rusty IFR pilot (no IFR in 10 years) to feeling competent and proficient in just five days. It’s been a pleasure and I now have the confidence that I am ready for the real thing. The plane was fabulous and I could not have asked for more. I want to express my most sincere thank you for a phenomenal flying experience. It is incredible to think that only 2 weeks ago I knew very little about flying, other than what I had studied for the FAA written exam, and in such a short period John taught me to fly! I will never forget my solo experience: John’s words were playing in my mind every step of the way while I was performing my take offs and landings. A truly magnificent and memorable experience. My 14 Day Private Pilot Training Course. I’m Super happy with the training course, John is an excellent instructor. I am definitely looking forward to instrument rating and commercial certification with John in near future. Also you have been a wonderful coordinator, thank you so much for your help. 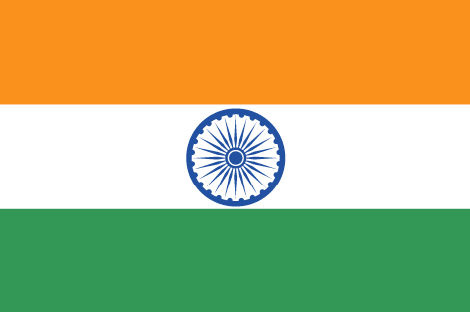 I’m also going to recommend AFIT to many cousins and friends of mine, Hitarth is already on the list. The experience I had with AFIT was nothing but fantastic. AFIT provided me with the knowledge and training that I needed to fulfill my childhood dream of being a pilot. Tony continuously kept in contact and was readily available to answer any questions that I had. Tony coordinated all the administrative work which allowed me to concentrate on training. John, my instructor, was not only a teacher but a friend as well. John’s method of teaching allowed for both understanding of flying as well as humor. 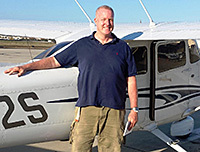 John would always ensure that you have a fun and memorable flight before ending the flight for that day. By using this method, it allowed me to retain all the new information that was learned on that flight. Thank you to the both of you, Tony and John! For making my dream come true! When I contacted you at the start of October I knew absolutely nothing about aviation and how to fly an airplane, but in one month with the King School’s online classes and the two week training program I spent with Erwin I learned so much. Erwin really pushed me hard and looking for me to be the best I can be and we did it. I had to work a lot during the two weeks. I was awake early and stayed awake late many evenings to study. There was a lot to learn but with your help and Erwin’s help I made it. Tom is a “fantastic instructor” and I thoroughly enjoyed working with him. Together with Utah’s wonderful weather, this was a great experience which I would recommend. I would like to extend my sincere gratitude and thanks to you and Ziggy for helping me fulfill the dream of being a pilot. Though the training has only been a short 2 weeks, I have been most privileged not only to have a good instructor in Ziggy, but I have also respectfully found in him a dedicated mentor. Thanks Ziggy! Enrolling into AFIT’s Private Pilot training program has been the best choice I made in pursuing my dream of obtaining my Private Pilot Licence. While Tony, the man behind all the pre-training administrations, has been spontaneous in assisting me to get through all the submissions and approvals, my flight instructor Zbigniew (aka Ziggy) has been most instrumental in training me to successfully pass the FAA flight examinations. Ziggy is a veteran pilot with over thirty years of flying experience. Coupling this with his dedication, patience and passion in flight instructions, he has guided me through AFIT’s systematic training program. Not only have I acquired the knowledge and skills to fulfill FAA’s requirement, I have also enjoyed the learning process with Ziggy thoroughly. 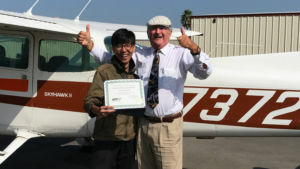 It has not been an easy feat passing FAA’s written, flight and oral examinations. But with AFIT, I did these all in one go! I am most thankful to Tony and Ziggy for helping me fulfill the dream of being a certified pilot. To all those who have this same aspiration, I strongly recommend AFIT – you will be in good hands! Tom has made this experience a wonderful one. His experience in aviation is hard to match and the life stories have been extremely motivational. I believe I received top class training and the 14 Day program would have been very difficult without Tom my instructor and the incredibly smooth coordination from Tony himself. Thanks!! I want to thank AFIT for the extraordinary overall experience it has provided me, and I strongly encourage anyone interested in obtaining a Private Pilot License and/or his/her Instrument Rating to achieve such ambitious targets through AFIT’s effective training. Tony and John have been of immeasurable help during the period of preparation prior to attending the training, as well as during the training itself. It has been a long time since I wanted learning to fly, however I always postponed such passion, due to heavy work commitments and the difficulty of dedicating several months to the process, as it usually done during conventional training. I finally heard of AFIT last year and decided to “go for it”, as I was impressed by the customers’ testimonials and by the guidance provided by Tony who explained the entire process in a simple manner. 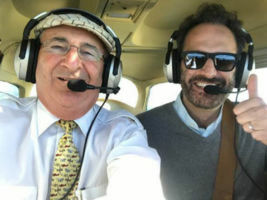 I then trained with John, an incredible professional pilot with immeasurable years of knowledge and ability to helping pilots obtaining results. It was difficult at times, but deeply rewarding. Overall it was incredible to learn so much and in such a short period of time. 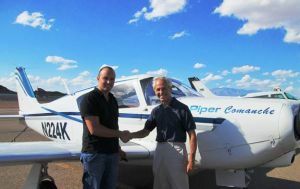 Thanks to John’s help I was able to obtain my Private Pilot License, mid of last year. Given the great experience, I wanted to go back to AFIT for my Instrument training. Thus, I started training again with John a few weeks ago. His deep knowledge, experience and dedication made me learn IFR flying. I accomplished the Instrument Rating I was so much looking forward to! He went beyond making me an Instrument rated pilot: he made me a true safer pilot.